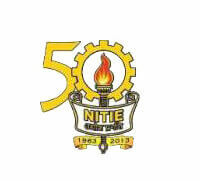 The National Institute of Industrial Training, Mumbai is one of the renowned colleges of Maharashtra. The college offers PG courses and Research programmes in engineering and management. The college is counted among 15 Centres of Excellence along with IITs and IISc. It was established in 1963. The college is an AICTE recognized institution/college. The NITIE imparts quality education to students by providing them access to the modern laboratories, library, sports, research facilities, and clubs. There are canteens, shopping complex, and banking facilities within the college campus itself. The college is spread in an area of 67 acres. A candidate should have done B. Tech with a minimum score of 60% marks from a recognized board/ university. A candidate should have a valid GATE score. He/ she should appear in the CAT exam. The shortlisted candidates are called for personal interview at the NITIE College. Admissions in the Fellowship programmes are done on the basis of applicant’s academic record and NITIE written exam. The candidate should be a Postgraduate from any recognized college/institution in any discipline. The sponsored candidates should have a minimum experience of 2 years in the relevant field.